We provide various water entertainments and private charters completely personalized for client's desire. 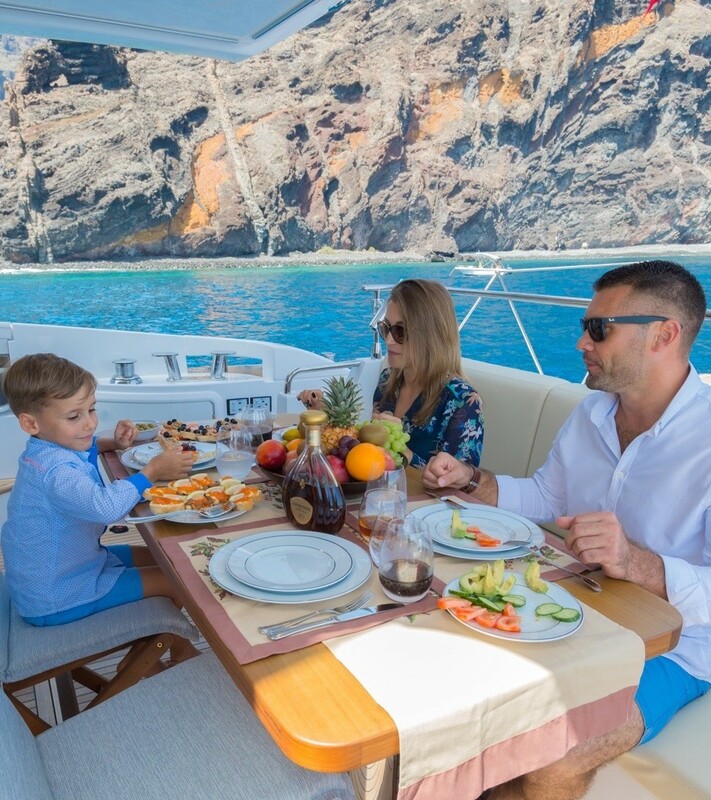 Cruising through the Canary Islands, fishing, parties and family vacations. You will receive an invaluable joint holiday, which will strengthen the family, create special memories, thanks to which a positive outlook on family ties will form. For children, joint entertainment with parents becomes jewelry, which is stored in memory, as something special, and adults can not be hurt by real rest!